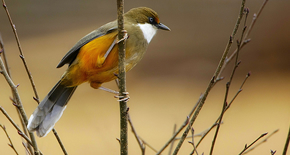 There are ten bird species in Bhutan, which have been identified as globally threatened by Bird Life International. 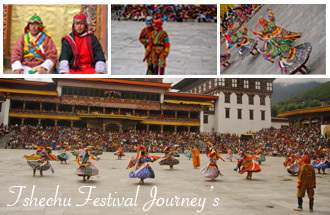 These include the Black-necked Crane, one of the World's rarest and least known cranes, which traditionally winters in Bhutan, the Rufous-necked Hornbill, Blyth's Tragopan, and Blyth’s King fisher, Ward's Trogon, the chestnut-breasted partridge, the white-bellied heron, Wood snipe and Pallas's Fish Eagle. Some other bird species seen are Ospreys, Waders, and wide varieties of Ducks, Snow Pigeons, Rose finches and Accentors. Besides that, you can spot Minivets, Barbets, Sunbirds, Warblers, Cuckoos and Yuhinas. Rafting is still in its infancy in Bhutan with the wider, stronger and infinitely more challenging rivers of the Eastern region remaining largely unexplored and uncharted. 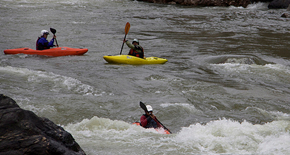 Those who have scouted the rivers feel that it has potential for some of the best rafting on earth. 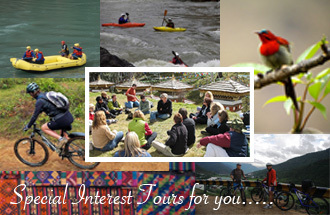 Rafting and kayaking is mainly done in Punakha region (Mo chhu & Pho chhu). Meditation is at the heart of the Buddhist way of life. It is basically a method for understanding and working on our own mind. 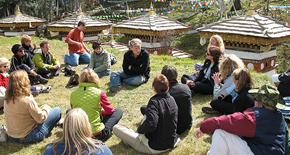 Anyone can learn basic meditation techniques and experience great benefits, but to progress beyond basic meditation requires faith in the Three Jewels – Buddha, Dharma and Sangha. Usually people find this develops naturally as they experience the benefits of their meditation practice. 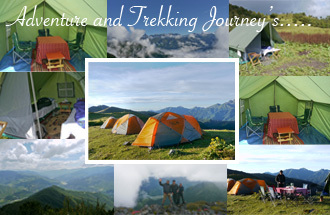 Yatara Adventure will give the opportunity to contemplate the driven and meditate at the campsite of Taktshang Monestry. 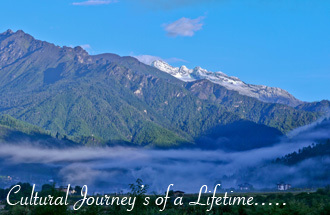 It’s an amazing opportunity as Guru Rimpoche himself is said to have meditated in 747 AD and also visiting some of the sacred sites for meditations. 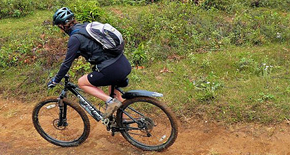 Mountain biking is rapidly gaining popularity with Bhutanese in the country. Long journey are challenging because there is lot of up hill peddling and approaching vehicles around turning. Local cycling excursion in the Paro,Thimphu and Bhumthang valleys offer a safer and less strenuous mountain-biking experience. 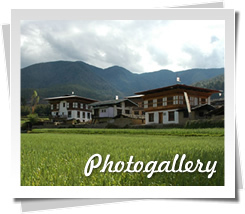 A number of dedicated trails have been developed in Phobjikha and Punakha. 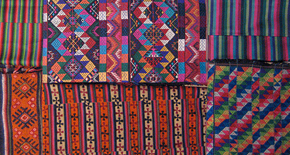 Hand woven fabric is most traditional and useful items that you can buy in Bhutan. We can find hand woven cloth in the Kaling hand loop Project in eastern Bhutan, in handicraft shops and in ordinary fabric shops.You can also check out the National Textile Museum. Yatharas are lengths of rough woolen cloth that can be sewn together to make sweaters, scarves or blankets. 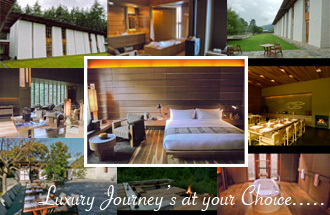 The best place for shop for Yatharas is in Zungney in Bumthang’s Chhume valley.